I asked a travel agency to apply an ETA visa for Australia for me. After they processed it, they gave me a note that I was approved for ETA visa. The details in the note that they gave me are expiry date, number of entries, my passport details, type of visa and status (can work or not). There was no reference number. Is my visa valid? Need to know as soon as possible because I am leaving next week. Please answer me....thanks. On the Department of Immigration's ETA site, you can verify the status of your ETA (snapshot below). This form sounds like the best way to verify the validity of your ETA. However, the form requires you to input your personal passport details, and the ETA reference number. I recommend contacting your travel agent to request that they provide the reference number to you, then verify it using this form. Not the answer you're looking for? 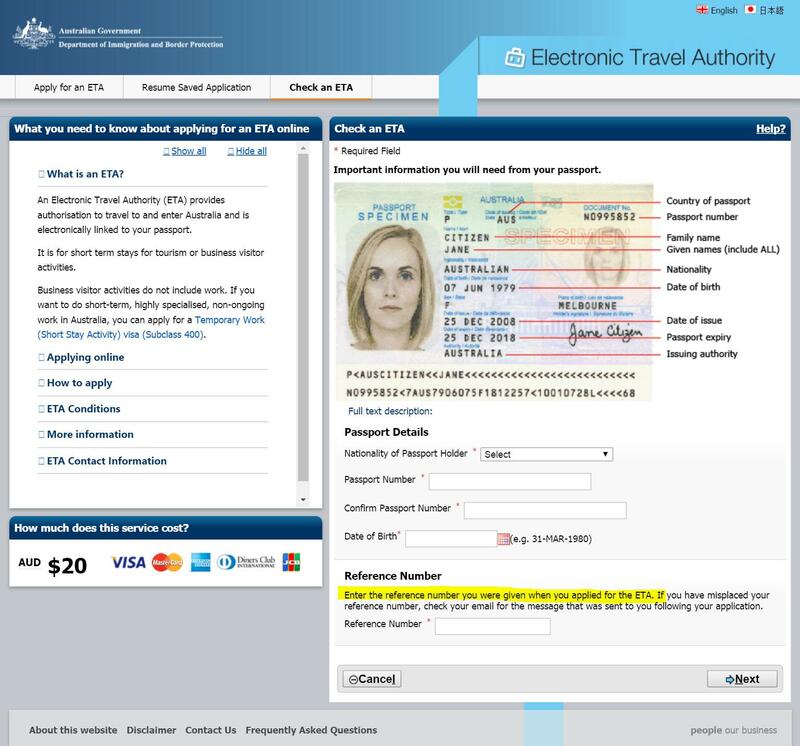 Browse other questions tagged visas australia application-status eta or ask your own question.